Clinton Payne focuses his practice in defense litigation in the areas of premises liability, products liability, personal injury, insurance coverage, professional liability, construction and nursing home and assisted living facility defense. 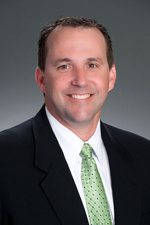 Mr. Payne joined Hinshaw & Culbertson LLP in May 2012. Previously he was for nine years a partner at DeMahy Labrador Drake Victor Payne & Cabeza. Mr. Payne began his legal career in 1994 as a judicial law clerk to the Honorable Federico A. Moreno, U.S. District Court, Southern District of Florida. From 1995 to 2000, Mr. Payne was an associate at Fowler White Burnett Hurley Banick & Strickroot. From 2000 to 2003, he was a partner at Clarke Silverglate Campbell Williams & Montgomery. Mr. Payne completed a portion of his legal studies from 1993 to 1994 at the University of Virginia School of Law as part of its Visiting Student program.